Accounting made easy for GreenRope users. San Diego, CA – October 16, 2013 – GreenRope, the industry’s leading CRM and Marketing Automation software, recently launched their newest integration with Intuit’s Quickbooks accounting software. “An integration with Quickbooks seemed like an obvious next step for us, as it is a very commonly used program amongst businesses. This integration makes it even easier for our clients to manage all of their business operations under one roof, bringing a whole new meaning to the word, complete,” explains CEO, Lars Helgeson. An integration with Quickbooks means that GreenRope users can house all of their sales, marketing, operational, and now financial functions in one, easy-to-use software. No more going back and forth between systems, which makes a company more efficient as well as knowledgeable about their business as a whole. “GreeRope is like having an omniscient view of your company, rather than bits and pieces. Knowing what is going on, on all fronts, makes you more prepared to run your business efficiently and effectively. Little additions and integrations like Quickbooks, make a huge difference in the lives of our users and their businesses,” Director of Marketing, Alessandra Ceresa, excitedly explains. Lars Helgeson, who saw the need to make running a small to mid-sized business easier and more efficient, founded GreenRope. GreenRope’s mission is to resolve the challenges of managing business operations by providing cloud-based integrated software that is effective, affordable, and user friendly. GreenRope streamlines key operations, including e-commerce and accounting, CRM, email marketing, mobile marketing, calendaring, websites, social media and more, into one easy-to-use platform. 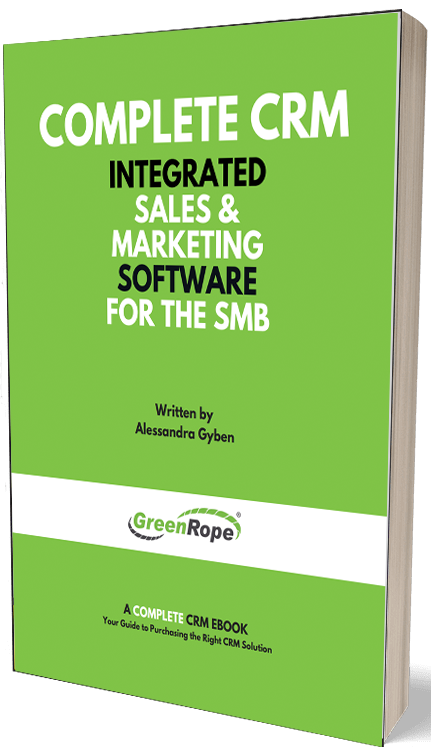 By using GreenRope, companies can reduce their marketing and CRM software expenses by an estimated 80%. GreenRope’s affordable pricing plans start as low as $99/month. Visit www.greenrope.com for more information.